Feedback: 98 comments - leave yours! With the knive blades know finished, we need to get a firm handle on this things. 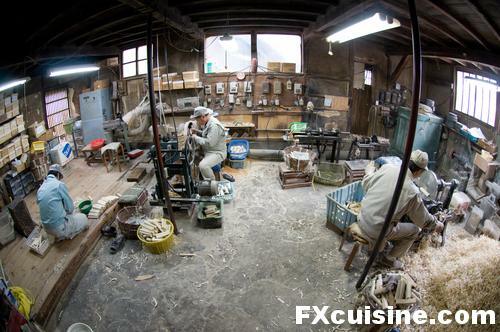 We walk some more across Sakai and enter the workshop of TATSUMI MASARU, master handlemaker. Mr Masaru makes knife handles from Magnolia Hypoleuca (Whitebark Magnolia), a fine and expensive wood called honoki in Japanese. 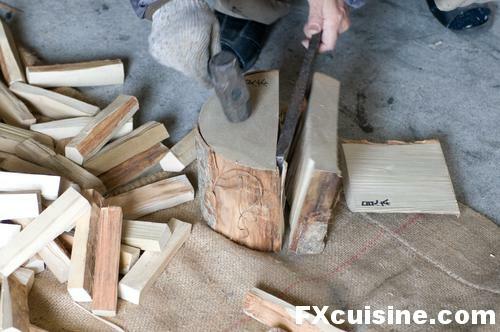 His timber merchant cuts the centenary tree trunks into smaller logs ready to shape into handle knives. Let's see how. 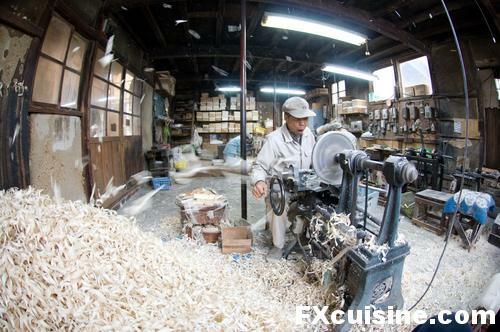 Entering Mr Masaru's workshop is like stepping into a Japanese print or a Samurai movie. Were it not for the electricity, you'd think this was Edo time. The craftsmen are all absorbed in their work, not one word is spoken. They move with a that sense of purpose you find in gestures that have been repeated every day for the last couple hundred years. A man feeds a machine older than his father with the little pieces of Magnolia, and a the machine sprays a geyser of wood shavings in a huge pile, contrasting with the timeless order of the scene. ... then handed to a man who works kneeling Japanese-style with his shoes off, to drill a little hole inside. 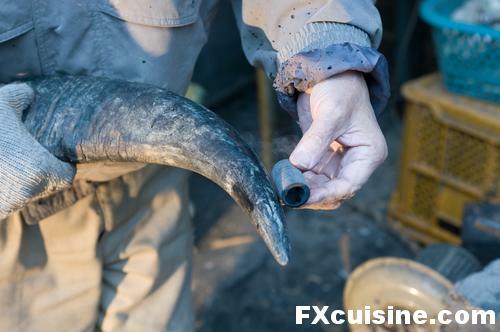 We step outside where Mr Masaru shows me how the bolster, that ring between blade and handle is made, using a buffalo horn. We only use about an inch of the horn for our knive handles, says Masaru, the rest is used to make combs. ... then the knive is inserted into the horn ring for a perfect fit. Finally another man sands the completed handle to ensure an even surface on both the wood and the bolster. When you pass your fingers on the handle of such knives, you can't even feel the crevice between bolster and handle. ... until Mr Masaru can heat the knive's tang until red hot, then inserts it into one of his handles. A pipe blows fresh air onto the handle so that he may continue his work without being smoked out of his own workshop. He then bangs on the handle with a wooden mallet, carefully listening to the sound to see how far the tang has gone up the handle. Too far and it will split. To take an example, therefore,*19 from a very trifling manufacture; but one in which the division of labour has been very often taken notice of, the trade of the pin-maker; a workman not educated to this business (which the division of labour has rendered a distinct trade),*20 nor acquainted with the use of the machinery employed in it (to the invention of which the same division of labour has probably given occasion), could scarce, perhaps, with his utmost industry, make one pin in a day, and certainly could not make twenty. But in the way in which this business is now carried on, not only the whole work is a peculiar trade, but it is divided into a number of branches, of which the greater part are likewise peculiar trades. One man draws out the wire, another straights it, a third cuts it, a fourth points it, a fifth grinds it at the top for receiving the head; to make the head requires two or three distinct operations; to put it on, is a peculiar business, to whiten the pins is another; it is even a trade by itself to put them into the paper; and the important business of making a pin is, in this manner, divided into about eighteen distinct operations, which, in some manufactories, are all performed by distinct hands, though in others the same man will sometimes perform two or three of them. *21 I have seen a small manufactory of this kind where ten men only were employed, and where some of them consequently performed two or three distinct operations. But though they were very poor, and therefore but indifferently accommodated with the necessary machinery, they could, when they exerted themselves, make among them about twelve pounds of pins in a day. There are in a pound upwards of four thousand pins of a middling size. Those ten persons, therefore, could make among them upwards of forty-eight thousand pins in a day. Each person, therefore, making a tenth part of forty-eight thousand pins, might be considered as making four thousand eight hundred pins in a day. But if they had all wrought separately and independently, and without any of them having been educated to this peculiar business, they certainly could not each of them have made twenty, perhaps not one pin in a day; that is, certainly, not the two hundred and fortieth, perhaps not the four thousand eight hundredth part of what they are at present capable of performing, in consequence of a proper division and combination of their different operations. The last stop in the crafting of these fine knives is HARADA TAKAYUKI's shop, the master engraver. He was not in town but we could have a look at his shop, a luminous room in downtown Sakai. Knives are placed one by one on a little anvil and the craftsman engraves them with the Haiku logo - a falcon - or the chef's name. They can engrave a fair amount of text, all by hand, such as on this knive with a whole chapter from a book of philosophy. These knives are sold as the Haiku traditional Japanese knives by Chroma Cutlery Inc. I love Chroma's Porsche knives which you see often in my articles, although they are not made in Japan. They don't sell directly to individuals but you can buy these knives in various online and regular shops such as www.kochmesser.de in Germany. At 400 Euros a pop, these are not disposable knives but serious professional tools. Only about 250 are sold a year by Chroma. I have two of those and am very happy with them. I'll show you how they work in a later article! A reader pointed that you can buy some "Chroma Haiku" knives on Amazon for only 99$. I asked Bjorn Heiberg of Chroma Cutlery if these were the same knives: The standard Haiku knives you sent a link to are stainless steel. Those are from Seiki City (Gifu prefecture) not forged.. They are stamped in the shape and of a stain-resistant steel.. Great knives, light and sharp, and easy to maintain, but the sharpness is not to be compared to the incredible edge you can put on a handforged Haiku Pro or handforged Haiku Itamae knife from Sakai. Life is too short for cheap knives. FX's answer→ Thank you Hazri! A very interesting article. I am so envious as we cope with rather ordinary knives that require constant sharpening. I wondered: when the bladesmith breaks a long blade, can he not then turn it into a paring knife? FX's answer→ Judy, I am not sure what happens with the broken pieces of steel. If it's any consolation, those knives also require constant sharpening, and they are more fragile than regular Western plastic-handled professional kitchen knives. Hey FX, awesome article! The following question may seem like sacrilege after an article like this, but what's your take on these Japanese ceramic Kyocera knives? Also, the way you sharpened your knife in the Fois Gras movie was a bit novel to me (I've only ever seen people running a knife slowly along a knife steel, in a single direction); would you care to elaborate please? FX's answer→ Nathan, I have a couple ceramic knives, they are very sharp but very brittle, much like a Japanese knife might be if it used only hard steel. I gave one to my father and he broke it within a week! There are two different "sharpening" for kitchen knives. One is what you saw in my foie gras video, you just bring the edge's sharpness back to life by rubbing it with the cylindrical tool you saw. The other is to regrind the cutting edge, and this is done with a stone. As far as I know, but there are people out there who live by the (kitchen) knife and who know more about it than I ever will! Great post Francois. Now I have another item to add to my wish list. 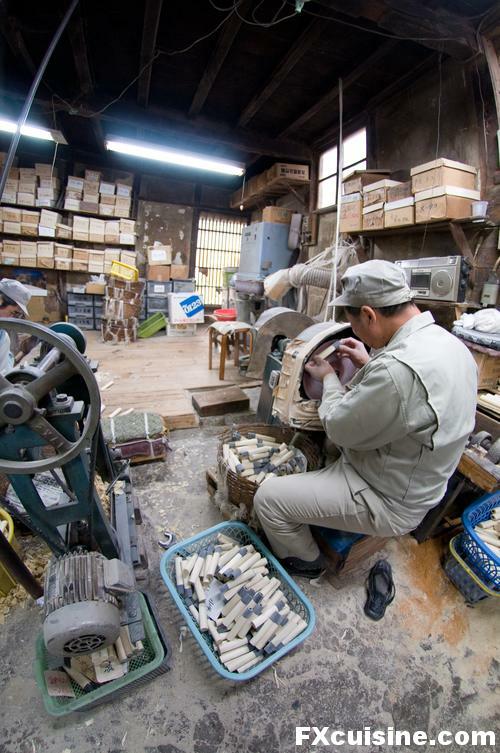 What a great glimpse into the artisan knives of Japan. Keep up the great work. FX's answer→ Thanks Chris, glad you enjoyed the visit! FX's answer→ Thank you, but please pack the knife in the luggage and not in the carry-on bag, this happens all the time in Osaka! FX's answer→ ... but they will pick it up! Fascinating article (with excellent photographs) as always! Last year I attended a japanese knife sharpening demonstration where I was told that Itumae-san will often buy a knife without the final edge (sharpening) put on - their responsibility is to sharpen the edge (typically on one side only) to their preferred angle/specification. The thought of sharpening a blade such as the ones you show in this article would intimidate me. What do you do as far as honing/maintaining such fine knives? 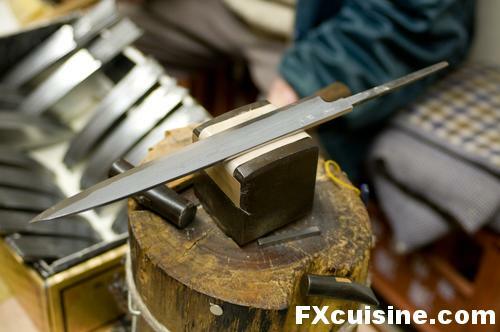 FX's answer→ Poolish, there are couple videos of German gentlemen sharpening their Japanese knives out there, it is not difficult provided you understand what you are doing, you know the angle and you use water as a lubricant. Do these knives require resharpening? How often? And how do you go about it? 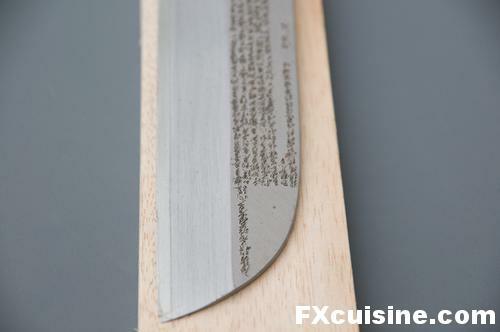 FX's answer→ Kai, every knife needs resharpening now and then, how often depends how often you use it. Professional chefs hone their knives every day. These need sharpening with a stone, there is only one edge and it has to be held as flat as possible on the stone with water. Please follow up with a shootout between these, other Japanese knives (Shun, Global) and the German masters! I would love to know just how they perform, and what point do their differences become miniscule. 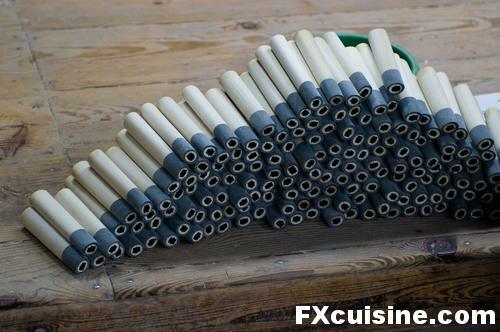 FX's answer→ James, I think the German knife makers would make a great article, but I don't know much about them. Which would you recommend? So interesting to see—such skill! Let's hope that there will be a new generation of craftsmen to take over their expertise! Thanks, FX! FX's answer→ Donna, in fact these old guys go visit local vocational schools to have smithing classes, and it seems some people are there to take over - some day! Extremely interesting! It must have been great to witness such an old tradition. Thanks for sharing these moments with us! FX's answer→ Thank you Rosa, glad you enjoyed it! Awesome post, the knife lover in me always rejoices when reading and seeing such things. I have two Japanese blades at home, of cheaper type though, and they are the best kitchen knives I have ever used (and I already tried a fair amount of them). Razor-sharp, unbendable and so easy to cut anything into almost any form with. FX's answer→ Taoist, your Japanese knives must be prized possessions! I find sometimes they are unwieldy when used with our Western knife techniques, but the other day I used one to cut a large piece of meat, it went through it like if it was a warm mound of butter! FX's answer→ Maria, aye, I remember the lady dealing with the public relations at Wenger, the Swiss knife factory, nearly had a nervous breakdown when she saw a picture - now removed - of a worker grinding a knife with his bare hands. "It's a secret technique" she said. No such fuss from the Japanese! If you ever get to Frankfurt there is a great food market called the "Kleinmarkthalle". In this market there is a Japanese kitchen utensil purveyor who specializes in knives. He mainly specializes in one manufacturer "Aritsugu". The Aritsugu knives are the best I've ever used (the blue-steel Santoku is always in use in my kitchen ;-)) and it appears that the culture of Aritsugu is very similar to that of the gentlemen you are showcasing here. FX's answer→ John, I have visited Aritsugu's shop in Kyoto a few times and included pictures in an earlier article. You are very right, they use the very same methods to make their knives. I'll definitely visit the Kleinmarkthalle next time I'm in town! FX's answer→ Ricardo, what a memorable buy you made! I always regretted that Mr Tarantino did not shoot any steel-forging scenes and only some cheap sushi bar set when Uma Thurmann buys her sword from Hattori Hanzo. That would have made for a much better scene in Kill Bill! A mate and myself have been enjoying your site for a while now, its definetly one of our top bookmarks. As a 'loyal loader' of your page, i thought i'd drop in my two bits on knives. I've been using global knives for the last 5 years now, every day in every way, and they've never touched a grindstone. I give them a quick flick on the sharpening steel every 2-3 weeks (takes 10secs) and they're brand spanking new. I also never wash them in the dishwasher, and leave food stuck to them...especially tomatoes! My friend has a set of Shun's and he swears by their value. The knives weren't cheap, but I think this highlights a big point. Save heaps and spend lots on the perfect knife for yourself and it will last a lifetime. I also don't bother with knife sets as you end up with knives that are never used and they just take up space. FX's answer→ Rudi, thanks for coming out of the digital cloud to say hello! I am glad you guys like my website and found the article interesting. Indeed, who is rich enough to be able to afford cheap knives which need constant replacing? Much better to have a few quality knives you can use for a lifetime! Do your knives rust or are they stainless? I have a really good Japanese stainless steel knife, it is easier to maintain than those discussed in this article although not really as sharp, but both are really cool knives I use a lot. Amazing how they make them! I have one of these hand-made knifes(different, less expensive maker) but I find the rusting and thickness of the blade a little annoying. (Some department stores have knife-sharpener guys where you can bring your knife to when it's a little blunt.) Well, I know it's sacrilegious but I prefer a good standard cooking knife! FX's answer→ Macha, yes the rusting is an issue. I always clean my Japanese knives right after using, then coat them with a little oil. I think if we knew how to use them the shape would no longer be a problem, but like you I find myself trying to use them Western-style and it doesn't always work fine. For the rust stains you can remove them using a gritty rubber eraser (architects used to use these). Francois, Thank you for always being informative and interesting. Good luck to you in this new year. Here I was, thinking that this was just a post about supersharp knives, Francois, but you've hit the nail on the issue about young people seeking the definition of themselves in dead-end jobs. And... Thank you for showing how these knives are forged; I've always wondered what purpose the soft metal/hard metal combination in Samurai swords must serve. Now I know. Another lesson learned from FXcuisine, the "educational" food blog. FX's answer→ Thanks Feyoh! Yes the softer iron is needed otherwise they would be as brittle as a ceramic knife which you break all the time. But these knives are not meant to cut through bones nor even frozen food. where they really excel is through soft organic tissue - fish fillet, meat or vegetables. Do they also make knives for Rabbies? - I hope not, ouch!!! As usual an interesting and well photographed article! FX's answer→ I'm sure they have a knife for absolutely everything down there. Have you seen the huge array of knife shapes the forger has? They are boasting about their skills with a knife - "Watch this" says the Japanese Guy, and he slices a fly that happened to be flying around, into two pieces - right down the middle! "That's nothing" says the Swiss Guy, and on seeing another fly buzzing around, he takes out his knife - two quick strokes, and he cuts the fly into four pieces - right there during flight! To which the Jew takes out his knife and takes a quick swipe on another fly, which flys off on a very swervy route! "So what's that?" asks the Japanese & Swiss Guys. FX's answer→ That's a good joke - too bad the Swiss doesn't win the fly-quartering contest! 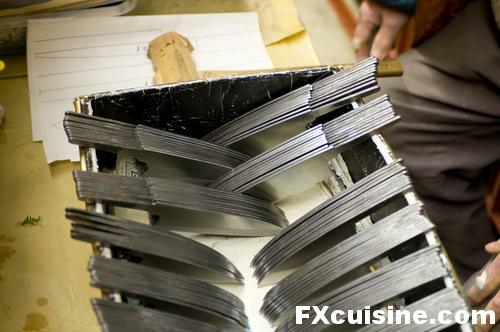 I always leave an fx photo-essay feeling enriched and this beautiful one on knife makers left me wistful. When I was a little boy, in the 70s (!) the mall & supermarket revolution had still to take place in india and our house had a constant stream of door-to-door tradesmen and artisans. kashmiri shawl-sellers, bengali muslin-saree sellers, a man with a lute shaped instrumment who would refluff the cotton in the house quilts before winter( which he would twang to advertise), a man who would beat out silver-warq from a small lump of family silver before festivals, a man who would de-carbonize the family kadhais(woks)and the knife sharpener - who would drive the grindstone with his bicycle. We cant go back to the artisan's age, but what we have lost to mass-production is part of our heritage. FX's answer→ Yes, I very much like India in this respect too, strolling through the streets of Indian towns feels like being able to enjoy that age when the tools and foods we bought were made right on our doorsteps and you would buy it directly from the man who made it! I saw a billboard in India praising the advantages of processed food, hard to understand for people who have never experienced the opposite. It has its advantages too - reliability, constant quality but so boring! Great article. I've been hankering after one of these knives for a while. I read an article a few years ago about Japanese National Living Treasure swordsmiths. Apparently they still make a number of swords per year (which at the time retailed for somewhere around about 50000USD) but are limited by legislation to only creating a certain limited number per year. To maintain a decent living they make chefs knives instead. That's something I want to check out when I visit Japan, and your article is the perfect intro. FX's answer→ Tim, sorry for the late reply! Yes they also do swords but knives are sharp and expensive enough for me. Hope you get to visit this place! Wonderful article, great subject and story. Great image of the engraved blade (the others too, but the engraved blade is my favorite). Anyways, keep up the great work, I love your diverse articles and different subject matter and exotic locals. FX's answer→ Geoff, I'm glad you liked the engraved blade picture, it took me many trials to get it and I wasn't so happy in the end. Not sure about what it says exactly on the blade though! Yes I think it takes perhaps half a day of combined efforts from all 3 professions to make one knife. Fantastic photo journal as always! FX's answer→ Thank you Jaden, I hope your kitchen keeps steamy in 2009 and wish you all the best! Engrossing article, the whole process very well photographed and described, it's almost as if I was there, too. I remember when I was small (in England), a knife-sharpener used to come round the streets once in a while, and all the housewives would gather up their knives and scissors to get them honed. 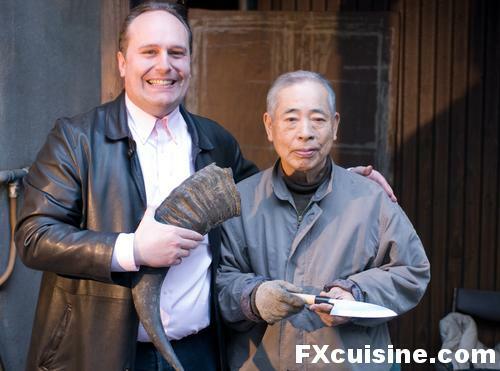 FX's answer→ Now when I use my Japanese knife, I see the face of the men who made it. Very pleasing sentiment in the times we are living! oh I said knife-sharpener, I meant knife-grinder - he also did tools such as axes to give them a sharp edge. Great article and interesting, although I should point out that the Japanese keep the wires above ground rather than buried because that way its easier to replace/reconnect in the aftermath of an earthquake which they are prone to! FX's answer→ Ben, I was sure the Japanese had some good reason to keep the wires above their heads, and it could not be aesthetics! Another fine article from your hand. Always a pleasure to see what you will cover next. FX's answer→ Thanks Rasmus, more articles are on the way! This is a very interesting article for me as a Japanese. 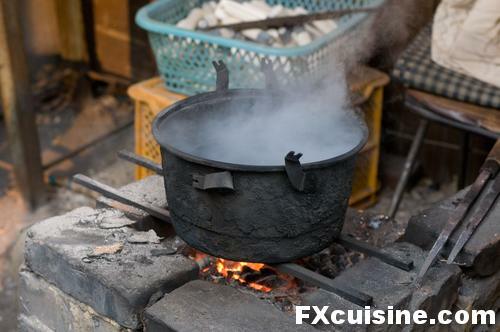 I've been a secret fan of FX cuisine for quite sometime but today's is the first time I posted some comments. FX's answer→ Mami, I really started using my Japanese knives a lot more, they are sooooo sharp, and works of art! sory for gramar english is only secoud language. FX's answer→ Well Liudas good luck on this long road! Wonderful sequence of pictures. One comment. You are calling the horn ring a "Bolster" In the west we would call it a Ferrule. The Bolster in Western tool terminology is a flange that is part of the tool itself which is seated against the handle. A ferrule is a ring on the handle that keeps the handle from splitting. I am wondering if there terms are different in Japanese or in Knifemaking. Great article! So I was interested in pricing the knives. But, your article in English on Japanese knives referred me to a German company. Their website is only in German, no English section. Any way to purchase knives when you can't read German? Dude, i love your Articles. Very nice. I was also in Japan for some month, how can you met so many nice people, very nice indeed! Lovely pictures -- you got a wonderful opportunity to really see what's going on in Sakai. 1. A knife certainly can be made from entirely hard steel, but it is difficult, expensive, and liable to breakage in the forging. Such knives are called "honyaki" knives, as opposed to the "kasumi" knife you saw made. They cost a fortune: you think that kasumi knife is expensive, you have no idea! 2. The knife you purchased, pictured in the other article, is a vegetable knife, an usuba made in the Tokyo style. It is not well designed to cut flesh, nor intended for that purpose. 3. Some of these knives are designed to cut bone, especially fish bones. The most common, the deba, shears through fish bones and heads like nobody's business. But the knife you have purchased -- the usuba in the picture at least -- will chip badly if you try it: it's not designed that way at all. 4. Oil is not necessary unless you are storing your knife for some weeks. Lay it flat and scour the face with a very mildly abrasive nylon pad, such as a ScotchBrite pad, with a little plain dish soap. Turn the knife over and tilt it so the bevel of the blade is flat, then scour the other side. Scour the handle if it seems like it might need it. Rinse very well in hot water. Dry (carefully!) with a clean, dry terrycloth towel. Now place the knife in a clean, dry place, out of the way of people, for about half an hour -- perhaps longer in a very humid climate. This allows the blade to dry completely. At this point you can store your knife -- edge upwards if at all possible -- in a block or other safe storage device. Rust should not happen if you treat your knives this way. 5. Last, a perhaps minor point. The back of the knife is not flat: it is ground slightly concave on that giant wheel. If you look at the back of your knife, you will see a shiny outline all the way around, and the main middle of the blade will reflect light differently. This is the concave section. When you sharpen the knife, after grinding the main bevel to bring the edge up, you turn the knife and place it flat on its back and grind very briefly to remove the used metal. If the back were truly flat, it would scratch the whole thing every time. Beyond this, the slight concavity acts like the dimples or grantons on some slicing knives in the West: things don't stick because the knife is concave. Thanks again for a lovely article and fine pictures! FX's answer→ Chris, thanks a lot for these most learned and useful comments! How come you know so much about Japanese knives? I'm sending this link to my friend who's loves quality knives...and samurai sword too! Thank you for sharing such interesting adventures of Japan. I wished I was there :-D I'm looking forward to travel to Japan soon. Gangbusters. The article on Japanese knife making is ineffable. This is a very interesting article. I enjoyed it a lot. I think that there is a small imprecision regarding the amount of carbon of the steel used to conform the edge and the core of the blade. -modifying the velocity of cooling. In a blade, the edge should be hard. Unfortunately, if a piece of steel is very hard, it will probably be brittle, hence the necessity of a tenacious and relatively soft core. So, having less carbon in the core makes more sense, considering the metallurgy of steel, than the other way around. Having less carbon will make for a softer (but more tenacious) core given the same cooling rate. Things are even more complex, because by means of differential heat treatment techniques artisans can obtain different degrees of hardness, in the same piece of steel, without modifying the amount of carbon. FX's answer→ Thanks! If I ever do a video piece on this I'll contact you for more information. Hi FX, Is this called a Haiku Damascus, the damascus Japanese knife series from Chroma? I found a site that caries chroma haiku knife but wasn't sure if it is "Haiku Damascus"? Would you know? FX's answer→ No, these are other knives. If in doubt just look at the price, they cost about 500$ a blade. Ayer conocí casualmente esta página. Como cocinillas que soy, estoy absolutamente encantado. Un saludo desde Berna. I just saw the article and like it very much. I would like to get some handles from TATSUMI MASARU. FX's answer→ Sorry, I don't have his details and was walked to his shop. can you provide me the address of Master Kouhei in Sakai? FX's answer→ I don't know his address, even the gentleman who took me to him had a hard time finding the house and he lives in town! FX's answer→ Yes it is very correct, blades are assymetrical. But let's face it, who will use these knives correctly? FX's answer→ Tanks Joel, indeed it is not possible to visit these artisans (you have seen the tiny premises they work from!) so I'm really glad to have been able to give you a good, hard glimpse at their life and work! 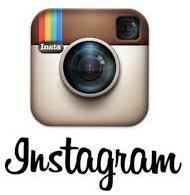 projetc with it's stunning pictorials and videos. Well done! I'm not employed or related to those firms, in case you wonder... I deal with a lot of artisans professionally, but more in the shoe and clothing world, than in the kitchen. Am heading over to Osaka in a week or so and wondered if there were any places in Sakai where one can pick up a knife that's been made on-site or if all knives are reserved for large shipments? Also have been reading about Japanese knifes and others claim that Seki is the knife-making capital of Japan. If I'm looking for a truly authentic Japanese which city should I opt for? FX's answer→ In Kyoto you can go to Aritsugu in Nishiki Market, they are authentic enough! I was in Sakai City, at the Edged Tool Museum - Homono, on 7 Jan 2011. They sell knives there. Sakai is an easy journey from central Osaka. BUT - for the last 12 years while I've been lucky enough to travel to Japan for work on a regular basis, I've been haunting the flea markets for used knives. Have made some great purchases of knives that "already know how to slice." I love the sense of history that comes from things passed down by others - especially skilled grandmothers. Although I have rarely met the previous owners of my "new" knives, I know that they have had their day in the kitchen. Under the careful ministrations of my husband who sharpens and tends them, they have brought me to a new level of joy in chopping (yes, I already liked to cook.) And they make spectacular gifts for friends who have spent time in our kitchen. And perfect souvenirs. Something I use everyday that reminds me of my travels and the good fortune I have enjoyed. And I love knowing that my knives may have been rescued from the landfill. What a travesty for a Sakai knife to end up unused in the bottom of a drawer, or in a box of discarded stuff on the way to the dump. Well cared for, a good Japanese knife will last for many generations. Thanks for a great article!! A weel written and fascinating article. As a woodworking hobbbiest, most articles about making knives and chisels fascinates me. Thanks for publishing it. I've often wondered why the high-end Japanese knives cost so much. Now I know...It's a long, arduous process making such a fine blade. Seeing how they're crafted has given me the desire to purchase another one. Thanks for the great article. FX's answer→ Thanks Mike, this is praise from Caesar. Alucinante mismo mi estimado Francois. En otro e-mail me presentaré y te contaré mi gusto y pasión gourmand. En este e-mail simplemente decirte que soy pasional de la cuchillería pero me sentí maravillado mismo de tu artículo, lo cuidado del relato, todo en si. Soy de Montevideo Uruguay, ya te contaré como te dije antes de mi gusto y pasión por la cocina.